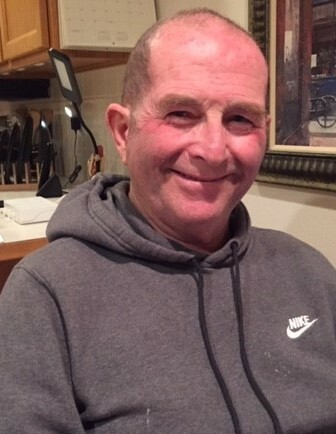 John Michael (“Mike”) McCormick, 68, died March 25, 2019, at his home in Nooksack, Washington, surrounded by family, after a courageous 3+ year journey with glioblastoma (GBM) brain cancer. Mike was born on July 18, 1950 in Conrad, Montana, to Rosemary (Hofland) and Neil McCormick. Mike’s early years were spent in a one-room school house on the Montana prairie, until his folks moved the family into the small nearby town of Cut Bank, Montana. Mike was an only child for the first ­­­­4 1/2 years of his life, until brothers Dan, Burke, Tom and Tim were born into the family. When Mike was 18 years old, the boisterous family of McCormick boys welcomed little sister, Ann. Mike cherished his role of big brother and enjoyed telling stories about his childhood spent, in part, on the Sullivan-Hofland family ranch south of Cut Bank, and of adventures with his parents and siblings. Despite their eventual geographic distance, Mike always made family a priority, with regular phone calls, trips “home,” and FaceTime chats. Mike especially loved keeping up on the goings-on of his bounty of nieces and nephews. Mike graduated Cut Bank High School in 1968 and the University of Montana (go Griz) in 1976, with a B.S. in Business Management. Mike worked for Reser’s Fine Foods for 13 years. His job with Reser’s eventually led him to an assignment in the Pacific Northwest. After a little match-making by his loving mother and future father-in-law back home in Montana, Mike was reunited with his former Cut Bank High School classmate and future wife of 25 years, Candace (Jacobson), who was living in Washington. Mike married Candace on February 27, 1994, on San Juan Island, Washington. Marrying Candace, Mike inherited two teenage daughters, Jen and Leslie, who lovingly referred to him as “Dad 2.0” (among other titles) despite the girls’ initial resistance to a male figure entering “their” household. Undeterred, Mike bravely won the girls over and became an important part of their lives as a parent, friend and confidant. In 2018, Mike was blessed to connect with his daughter, Cheryl, whom he had never met. Getting to know Cheryl and her three children was a glowing bright spot during the trials and tribulations of Mike’s journey with cancer. Mike cherished his role as son, brother, husband, father, uncle and friend to all. After leaving Reser’s in 1996, Mike was fortunate to be able to follow his dreams and pursue self-employment as a general contractor until retirement. He was skilled as a builder and woodworker and deeply enjoyed the physical labor and problem-solving aspects of his job. He truly appreciated his clients, many of whom he considered good friends when his job was done. In his spare time, Mike enjoyed photography and traveling around the continental U.S. and Hawaii. Candace and Mike enjoyed a timeshare condo in Maui and their beloved “Scamp” trailer. They had many adventures in their travels and met many interesting people. Unfortunately, after only a couple of extended Scamp trips touring the national parks and visiting friends and family from coast to coast and border to border, Mike was diagnosed with a GBM brain tumor in November 2015. True to his character, Mike conquered the odds and far surpassed the statistics in his battle with GBM. His rebound after brain surgery was remarkable and his involvement in the cancer-support community brought him many new friends. Mike was an inspiration to many and will be deeply missed. Mike is predeceased by parents, Rosemary and Neil, brothers, Tim and Burke, and son-in-law, Paul (Leslie’s husband). He is survived by his wife, Candace; daughters, Cheryl (Ryan), Jen (Tyson), and Leslie; grandchildren Madison, Riley, and Sydney; Tegan and Ryder; his siblings, Dan, Tom (Betty) and, Ann; sister-in-law, Heidi; numerous nieces, nephews and a great-niece and great-nephews; a large extended family of cousins, and countless friends—all of whom he cherished. At Mike’s request, there will be no formal funeral services. A Celebration of Life BBQ gathering will be planned for the upcoming summer and all will be invited to celebrate a life well lived by an incredible man. If you would like to share a memory or sentiment, cards may be sent to the family at P.O. Box 4006, Nooksack, WA 98276. The family is deeply appreciative of the services provided by Whatcom Hospice, which allowed Mike to spend his final weeks cared for at home with family, as he wished, and the loving support of his church family at Immanuel Lutheran Church. In lieu of flowers, donations may be directed to Whatcom Hospice at https://whatcomhospice.org/donate/, Immanuel Lutheran Church 5782 Lawrence Rd, Everson, WA 98247, or to the Chris Elliott Fund’s End Brain Cancer Initiative at https://endbraincancer.org/take-action/donate-now/. "A limb has fallen from our family tree that says grieve not for me. Remember the best times and the laughter and the song and most of all the good life I lived while I was strong."